This website's mission is to feature all waterfalls I know about in Georgia in a database that will continuously be kept up to date. Georgia's waterfalls have never received the attention that those of neighboring North Carolina and Tennessee have. ​This website is the realization of a resource that Georgia has sorely needed for years. The site is now home to listings for over 450 waterfalls, following many months of work. 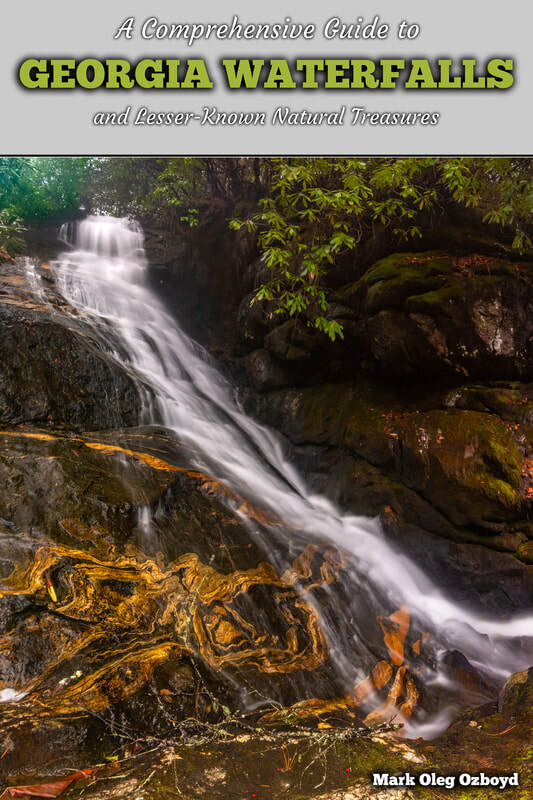 Each listing has waterfall coordinates, basic access info, and a photo. If you find a missing waterfall or inaccuracies related to existing waterfall listings, please let us know through the "Submit a Waterfall" form! You can search for waterfalls on this site using one of three ways. The Waterfalls by County tab splits the waterfalls into North Georgia's 14 counties with waterfalls. The Waterfall Index tab divides the waterfalls alphabetically. The Waterfall Map tab features an interactive map with locations of every waterfall on this site, allowing you to easily pan into any specific region that you're interested in. This website wouldn't be the same if not the tireless work of Bernie Boyer and Greg Ford. Not only have these extraordinary waterfall explorers documented dozens of previously-unknown waterfalls across North GA, but they have been generous enough to publicly share their photos and notes to inspire people to visit these waterfalls. In addition, my thanks go out to Alan Cressler, Aidan Dealy, Andy Kunkle, Bruce Roberts, Jack Anthony, Mike Hiler, Robert Shaw, Renee Hattenstein, and many others for kindly allowing me to include their photos here.